Socks are one of the chicest details you can include in your outfits. Often overlooked, socks might not be your go-to way to accessorize. We are here to show you all the cute ways to style your shoes with socks. It’s time to give your socks some exposure. Flip through this gallery to discover how to make blogger-worthy outfits with statement socks. Even your regular socks can level up your look if you style them the right way. 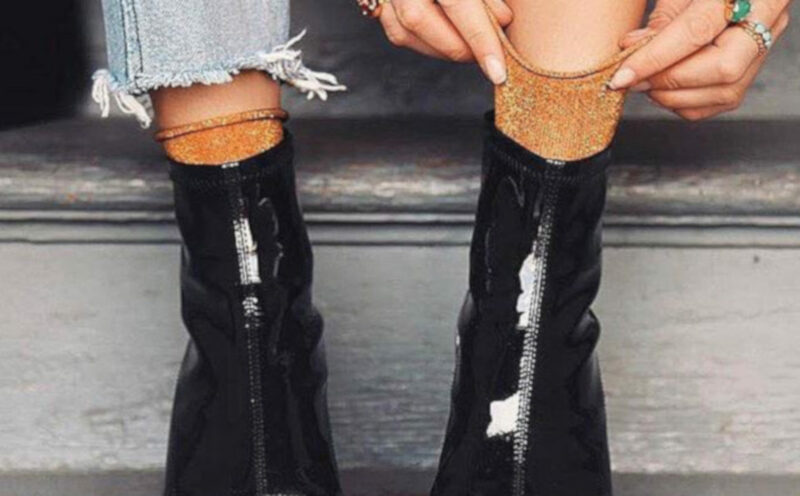 Dress up your lace-up boots with a pair of chic patterned socks. This detail will allow you to pair your casual boots with elegant dresses and score that model-off-duty look.